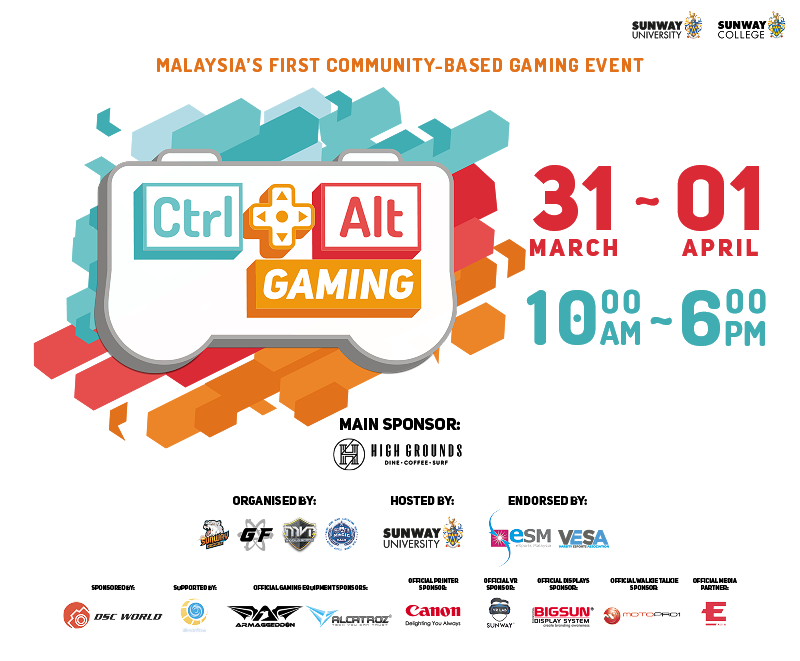 Communities Of Gamers Come Together For The FIRST Ctrl+Alt Gaming 2018! 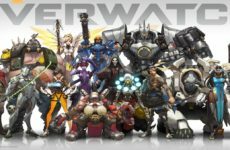 With the advent of competitive gaming, it is easy to forget that gaming will and always has been about having fun. 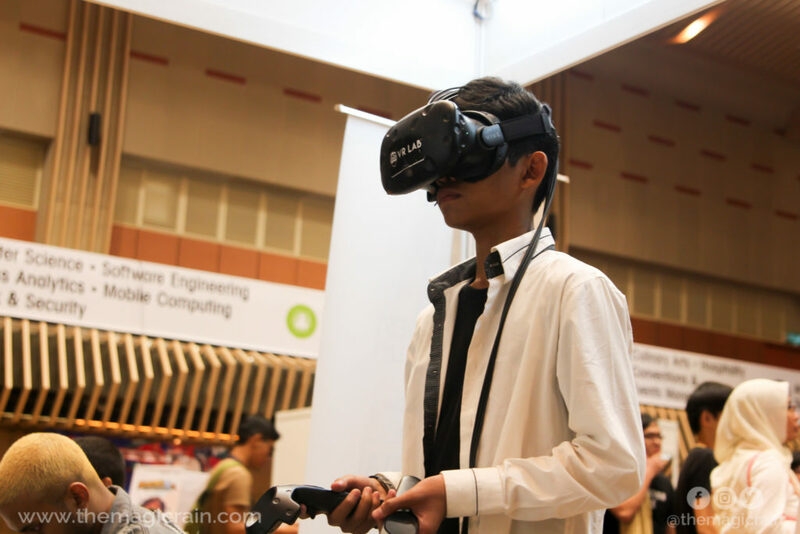 That was the event concept behind Ctrl+Alt Gaming 2018 (CAG2018), the brainchild of Games Fusion. As a gaming lounge located in Sunway Nadayu, they believe in welcoming gaming environments where players of all types, whether newbie or veteran, can share their love for the game without judgement. CAG2018 was their idea to transform those principles into a movement, but first, they had to assemble a team. When Games Fusion reached out to us at The MAGIC RAIN, we knew we were going to be on board. We’ve always prided ourselves in paving new grounds in events and raising the community to higher grounds. This event was the perfect medium. We were joined by the Sunway Esports Club and MVP Mobile Arena, making up the four main organisers for the event. 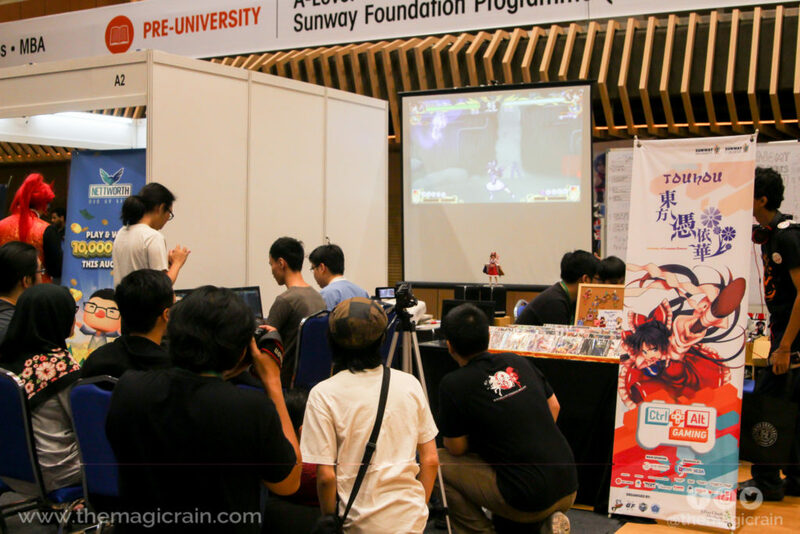 After 2 months of grinding, Ctrl+Alt Gaming 2018 finally took place last weekend from 31 March – 1 April 2018 at the Jeffrey Cheah Hall in Sunway University. 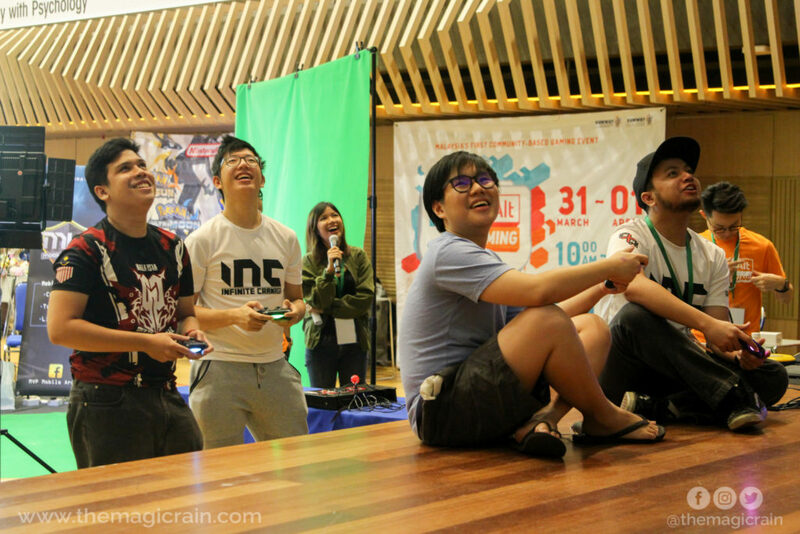 We celebrated seven different gaming communities including fighting games, Nintendo, Touhou, Mobile Legends: Bang Bang, Monster Hunter, Hearthstone, and virtual reality. Each community hosted their own activities, ranging from newbie-friendly mini games to tournaments for veterans to challenge their skill. Activities were catered mainly towards newcomers to the gaming scene, with games that were easy to pick up on-the-go and volunteers ready to assist and teach. On the stage, a mixture of both were featured. 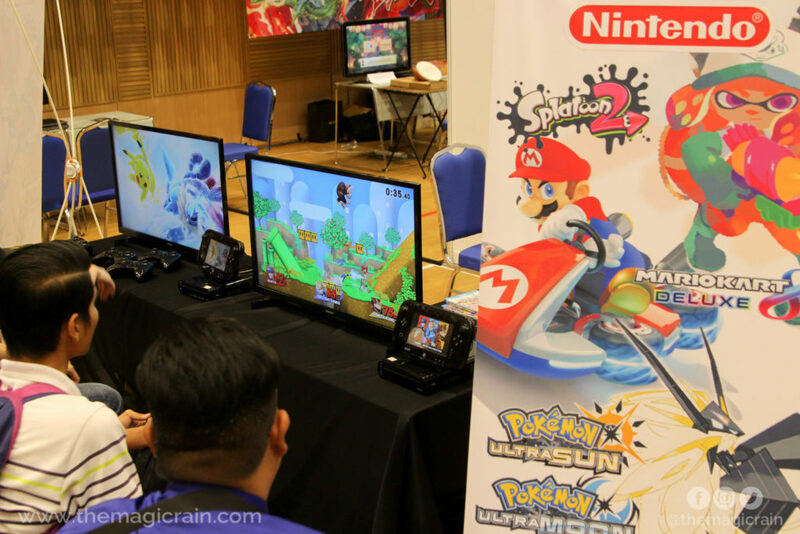 Attendees were welcome to walk onto the stage and join in fun games exhibitions, including Fruit Ninja VR and Puyo Puyo Tetris, while the finals of mini tournaments were also hosted on stage which had the crowd roaring in excitement. 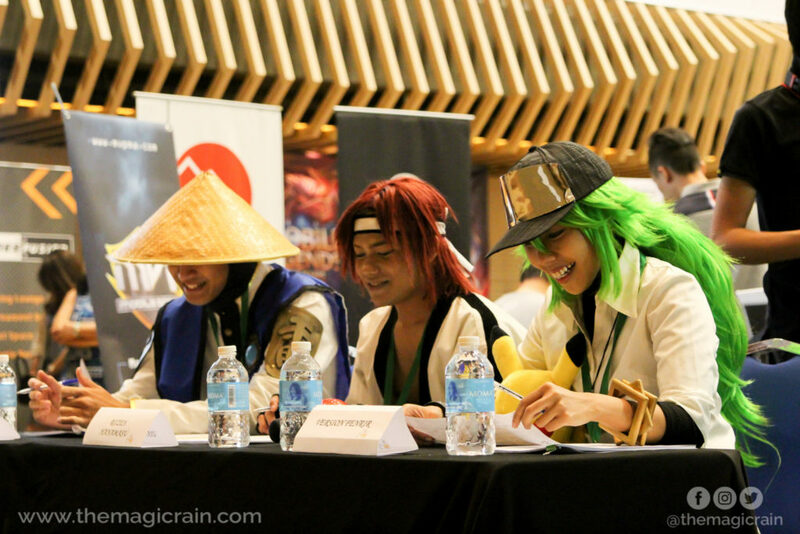 Not only that, we collaborated with AniManGaki to organise a cosplay competition limited to characters from video games. The audience and cosplay photographers alike rushed to the stage to snap shots of their favourite characters coming to life. All the activities were livestreamed on MVP Mobile Arena’s Facebook page, so those who couldn’t make it to the event could still partake in the excitement and thrill! Outside the hall, we had the honour of hosting two other activities. 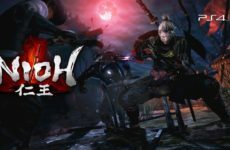 Firstly, we invited Johnson Ting and Jarold Sng to host workshops relating to professional careers in the gaming industry. 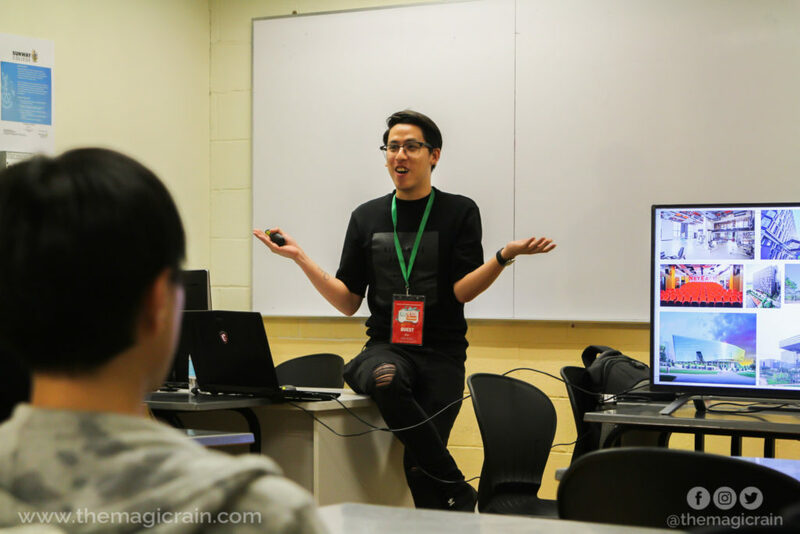 POPCONfest also hosted a workshop detailing the platform they’ve built to encourage growth in online creators. 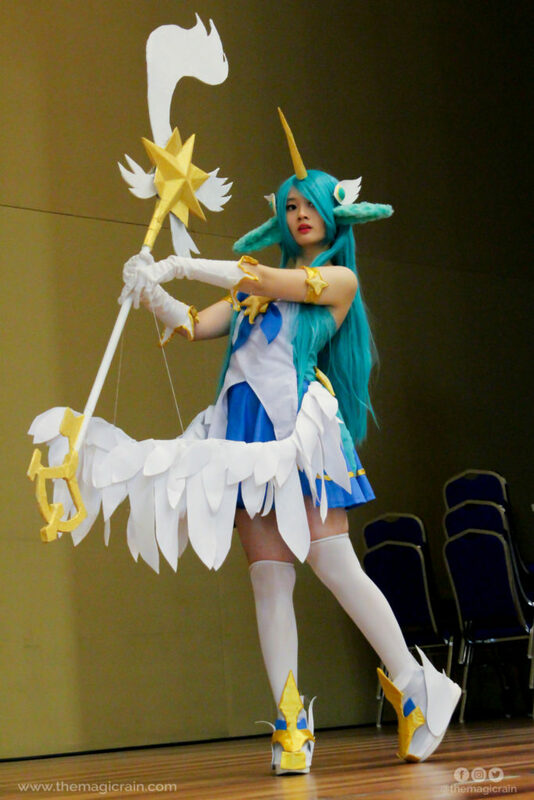 Next, we collaborated with Her Majesty’s Mansion, a team of cosplay cafe organisers. 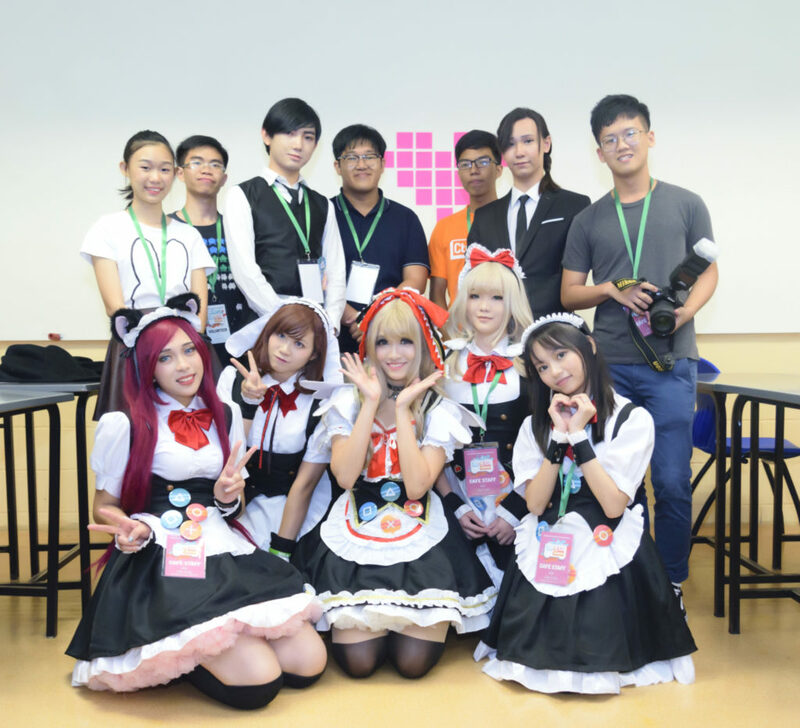 They hosted a maid and butler cafe named Save Point after the gaming term, where participants were encouraged to “save” the maids and butlers from being trapped in the video game by playing activities with them in the café. The entry fee was inclusive of a homemade dessert and drink prepared by the maids and butlers themselves. All in all, the event was a success! We traveled back to the roots of the gaming community and gave our attendees a chance to experience a convention like never before. One with a casual and fun setting where they could make new friends and learn new things. It was also the first time The MAGIC RAIN has helped organise an event of this scale involving so many communities and parties. It was a great learning experience for us, and we’re definitely taking our knowledge learned and putting it to good use in future events! 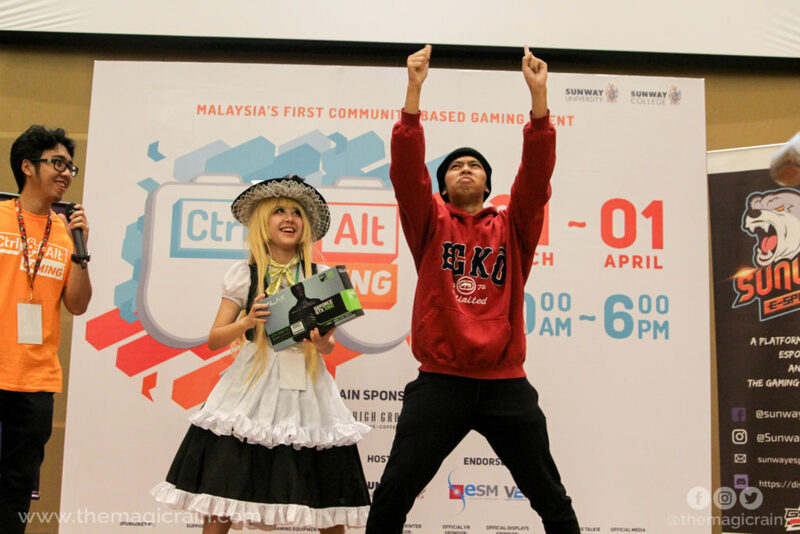 THANK YOU FOR ATTENDING CTRL+ALT GAMING 2018! Group picture of the volunteers and partners of Ctrl+Alt Gaming 2018! Thank you to our sponsors – High Grounds Cafe, DSC World, Moonton, Armaggeddon, Alcatroz, Canon, VR Lab Sunway, Big Sun Display Systems, Motopro1, and EDGE Asia. We couldn’t have done this without your support! Previous Post Win Tickets To The FIRST EVER TAGCC Happening At Mid Valley This Weekend! 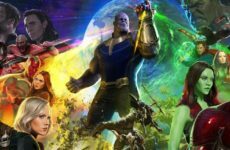 Next PostKL Comic Week Is Happening At TAGCC 2018 This Weekend!